If you are looking for a privacy fence in Ellicott City, the most important choice is what material to use – wood or vinyl. There are a lot of factors to consider when choosing between these two popular fencing materials . Although many will choose solely on personal taste, if you are on the fence, no pun intended, about the decision, we have broken down some of the pros and cons of the two fencing materials. As far as the cost of purchase and installation are concerned, wood is the cheaper option. Wooden privacy fences are about 20-40% cheaper than their vinyl counterparts depending on the company and quality of wood. However, in Ellicott City, a vinyl privacy fence can have a 15-20% increased return on investment over a wooden one when selling your house. Those with a tight budget may want to purchase a wooden privacy fence while those who wish to make a significant investment in their property may want to consider vinyl. Wooden privacy fences generally require yearly maintenance in the form of cleaning and repainting and are vulnerable to rot, termites, and warping due to humidity and temperature changes. Vinyl privacy fences, on the other hand, require next to no maintenance, except for maybe occasional washing if you want to keep its shiny new look. 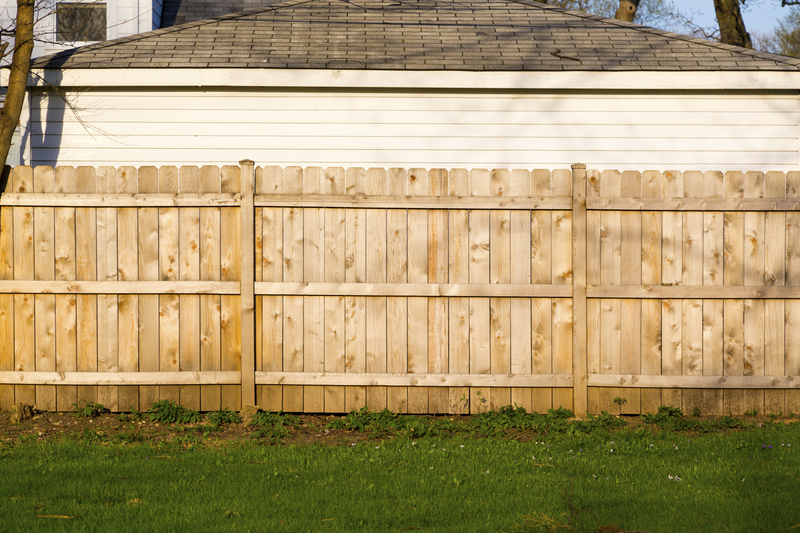 A vinyl privacy fence also has a significantly longer lifespan than a wooden one. If taking care of and eventually replacing your privacy fence seems like a chore to you, you may wish to go with vinyl. Wooden and vinyl privacy fencing can each provide a unique aesthetic to your home. Your choice may come down to which fence you think looks better but there are other design factors to consider. Vinyl fences have an involved industrial production process and customization is therefore limited. Wooden fences provide a wider a range of customization options and are available in more styles. It is important not to neglect the aesthetic of the area that you live in. Ellicott City is a varied place, matching the fences around you in material and style will maximize appeal and return on investment. With 40 years in the home improvement industry, Freedom Fence and Home has earned a reputation for high quality work and even higher quality customer service at an affordable rate. Our hardscape experts are ready to help homeowners and business owners in White Marsh design a new patio that will have passersby noticing your home or business. Click Here to view our patio gallery. In the meantime, if you have any questions about Nicolock Patio Pavers, please contact Freedom Fence and Home by calling 443-271-6841 or visit our website. You can also follow us on Facebook and Twitter! This entry was posted on Wednesday, July 8th, 2015	at 7:29 pm	. Both comments and pings are currently closed.